This image was captured by Unique Moments Photography of Gig Harbor Washington. The groom was waiting in the wedding Venue for the bride for the First look. We love the image because it really shows of Filigree. Its such a beautiful Outdoor venue and it has a tent. 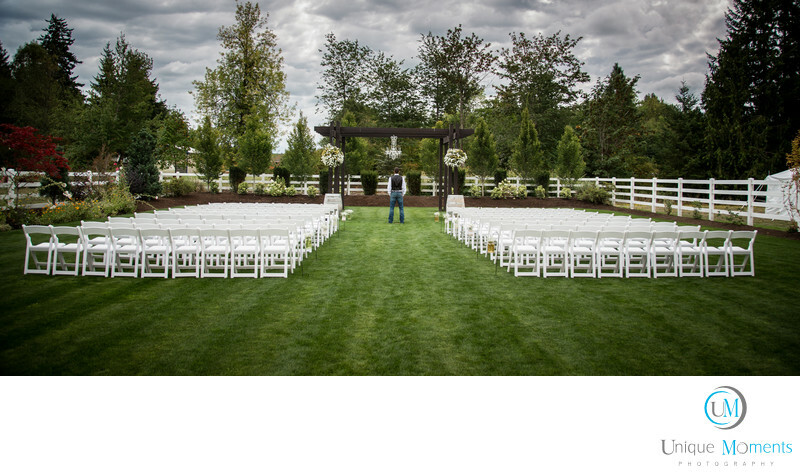 Perfect for brides trying to keep everything in one place and the price to rent the facility is very reasonable. Great place for families to have a wedding.